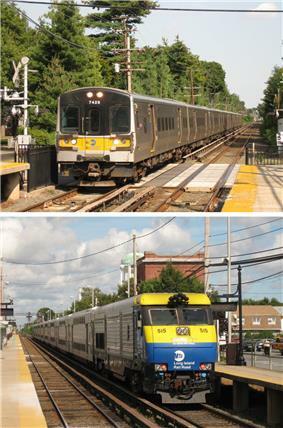 The Long Island Rail Road operates electric and diesel service into New York City along with Metro-North Railroad and New Jersey Transit Rail. 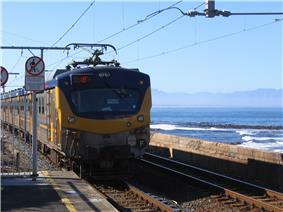 Commuter rail, also called suburban rail, is a passenger rail transport service that primarily operates between a city centre, and the middle to outer suburbs beyond 15 km (10 miles) and commuter towns or other locations that draw large numbers of commuters — people who travel on a daily basis. 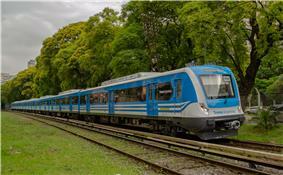 Trains operate following a schedule, at speeds varying from 50 to 200 km/h (30 to 125 mph). Distance charges or zone pricing may be used. 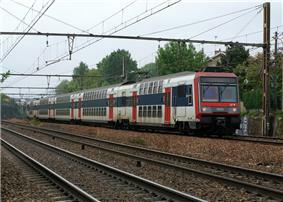 Non-English names include Treno suburbano in Italian, Cercanías in Spanish, Rodalies in Catalan, Proastiakos in Greek, S-Bahn in German (although Regionalbahn or stopping services occasionally also operate as commuter trains), Train de banlieue in French, Příměstský vlak in Czech, Elektrichka in Russian, and Pendeltåg in Sweden. 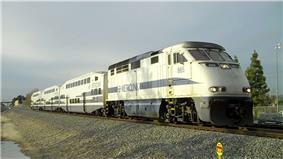 The development of commuter rail services has become popular today, with the increased public awareness of congestion, dependence on fossil fuels, and other environmental issues, as well as the rising costs of owning, operating and parking automobiles. Most such trains run on the local standard gauge track. Some light rail systems may run on a narrower gauge. 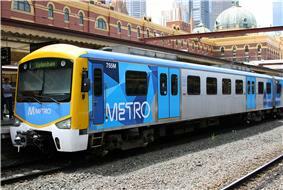 Examples of narrow gauge systems are found in Japan, Switzerland, in the Brisbane (Queensland Rail's City network) and Perth (Transperth) systems in Australia, in some commuter rail systems in Sweden, and on the Genoa-Casella line in Italy. Some countries, including Finland, India, Pakistan, Russia, Brazil and Sri Lanka, as well as San Francisco (BART) in the USA and Melbourne and Adelaide in Australia, use broad gauge track. 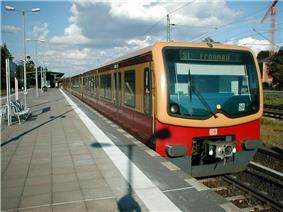 S-Bahns, like the one in Berlin, are not considered commuter rail. In Germany the S-Bahn is considered as a train category of its own, and exists in many of the large cities and in some other areas. They can be divided into two major types. In Berlin, the S-Bahn systems do fulfill all considerations of a true metro system (despite the existence of U-Bahns as well) – the trains run on tracks that are entirely separated from other trains, they have most of their stations within highly populated urban areas, has short distances between stations, has high frequency departures (all day) at fixed minutes and uses tunnels. The main difference between the S-Bahn systems of Berlin compared to the U-Bahns of the same cities are most notable at major railroad stations, where their (track-separated) platforms are located parallel to common railroad platforms. Some S-Bahn lines do run a bit further out from the city centre, compared with U-Bahn. The second type, found in the Ruhr area, has longer lines and lacks a separate track system, and the trains runs between cities rather than within a city, although cities like Dortmund, Essen, Gelsenkirchen and Düsseldorf are almost agglomerated together. This type of S-Bahn also applies to Munich and Frankfurt. S-Bahns does also exist in some mid-size cities like Rostock and Magdeburg, but in that case the S-trains do not depart as often as metro systems do, the tracks are not separated from other trains and the number of lines are few. The distances between stations however are usually short. S-trains (S-Bahns) are a rather wide concept but only in a number of cases can they be truly considered as commuter rail. The consideration for this is open to subjective thoughts and different opinions however, especially since such S-trains only exists in a few countries (Germany, Austria, Denmark, Italy and Romania) and do differ from city to city even within these countries. The high-speed services linking Zurich, Bern and Basel in Switzerland (200 km/h (120 mph)) have brought the Central Business Districts (CBDs) of these three cities within 1 hour of each other. This has resulted in unexpectedly high demand for new commuter trips between the three cities and a corresponding increase in suburban rail passengers accessing the high-speed services at the main city-centre stations (or Hauptbahnhof). The regional trains Stockholm–Uppsala, Stockholm–Västerås and Stockholm–Eskilstuna in Sweden reach 200 km/h (120 mph) and have many daily commuters. 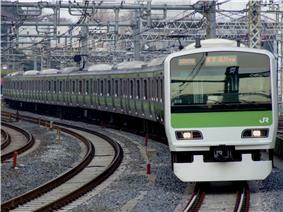 In Japan, commuter rail systems have extensive network and frequent service, and are heavily used. In many cases, Japanese commuter rail is operationally more like a typical metro system (with very high operating frequencies, an emphasis on standing passengers, short station spacing, and dedicated rights-of-way) than it is like commuter rail in other countries. Japanese commuter rail also tends to be heavily interlined with subway lines, with commuter rail trains continuing into the subway network, and then out onto different commuter rail systems on the other side of the city. Many Japanese commuter systems operate several levels of express trains to reduce the travel time to distant locations, often using station bypass tracks instead of dedicated express tracks. It is notable that the majority of Japanese commuter rail systems are owned and operated by private railway companies, without public subsidy. Commuter trains are relatively uncommon in China, although systems have been inaugurated in some cities such as Beijing, Shanghai, Zhengzhou, Wuhan and the entire Pearl River Delta. The level of service varies considerably from line to line ranging high to near high speeds. More developed and established lines such as the Guangshen Railway have more metro-like service. Hong Kong MTR's East Rail Line and West Rail Line were built to commuter rail standards but are operated like a metro system. 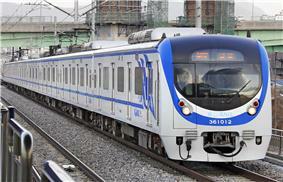 Other examples in Asia include Seoul Metropolitan Subway of which some lines are suburban lines operated by Korail in South Korea, KTM Komuter in Malaysia, the Philippine National Railways orange line in Metro Manila, Philippines and KRL Jabotabek in Jakarta Metropolitan area, Indonesia. Major metropolitan areas in most European countries are usually served by extensive commuter/suburban rail systems. Well-known examples include Beovoz in Belgrade, Serbia, S-Bahn in Germany, German-speaking areas of Switzerland and Austria, Proastiakos in Greece, RER in France, suburban lines in Milan (Italy), Cercanías in Spain, CP Urban Services in Portugal, HÉV in Budapest, Hungary and DART in Dublin, Ireland. 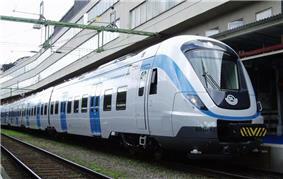 In Sweden, electrified commuter rail systems known as Pendeltåg are present in the cities of Stockholm and Gothenburg. The Stockholm commuter rail system, which began in 1968, is similar to the S-Bahn train systems of Munich and Frankfurt such that it may share railway tracks with inter-city trains and freight trains, but for the most part run on its own dedicated tracks, and that it is mainly used to transport passengers from nearby towns and other suburban areas into the city centre, not for transportation inside the city centre. The Gothenburg commuter rail system, which began in 1960, is similar to the Stockholm system, but does fully share tracks with long-distance trains. Other train systems that are also considered as commuter rail but not counted as pendeltåg include Roslagsbanan and Saltsjöbanan in Stockholm, Upptåget in Uppsala County and Skåne Commuter Rail (Pågatågen) in Skåne County which also acts as a regional rail system, as it serves other cities over 100 km (62 miles) from the principal city of Malmö. 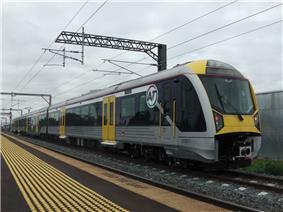 New Zealand has two commuter rail systems, one in Auckland and the other one in Wellington. Sri Lanka Railways operates commuter rail service in Colombo, Sri Lanka. İZBAN operates commuter rail service in İzmir, Turkey. A Transperth operated 'B-series' train at McIver railway station in Perth.